How is drug resistance of cancer cells affected by ABC-transporters? A new research paper, published in the open access journal BioDiscovery, looks at the complex relationship between the second generation of tyrosine kinase inhibitor (TKI) – Dasatinib (DAS), and the expression of ATP-binding cassette (ABC) transporters, ABCB1 and ABCG2, to assess whether these drug transporters might compromise therapeutic effect. Cancer enabled “targeted” treatment is an effective method with a minimal damage for healthy cells. Targeted therapy brought about a revolution in cancer treatment in the last decades by utilising rationally designed drugs that interfere with specific molecules (molecular targets) essential for proliferation and survival of malignant cells. While DAS represents excellent choice for the treatment of chronic myeloid leukemia resistant to imatinib, recent laboratory studies suggested that antiproliferative effect of DAS might be significantly reduced when overexpression of the ATP-binding ABC transporters, ABCB1 and ABCG2 comes into the equation. In their study Dr. Petr Mlejnek and his team from the Palacky University Olomouc, Czech Republic observed that the expression level of the studied ABC-transporter is an important factor that affects the cell resistance. While the antiproliferative and pro-apoptotic effects of DAS might be reduced by ABCB1 or ABCG2 overexpression at clinically relevant concentration, the actual effect of the studied ABC transporters on DAS efficiency depends on their expression levels. 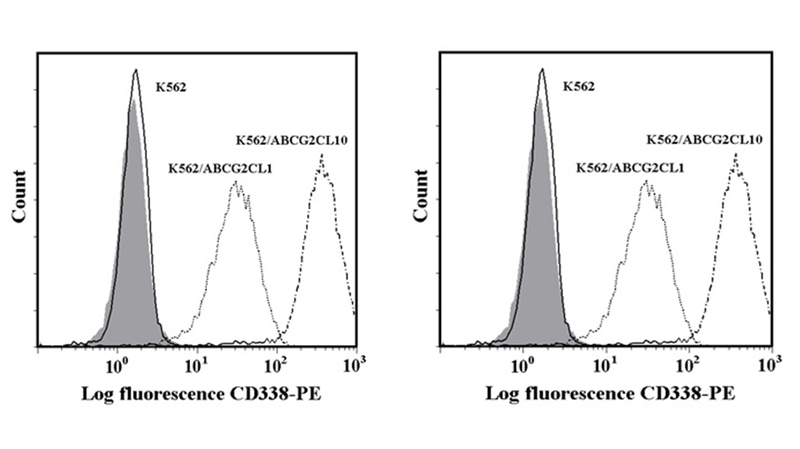 The lower expression levels of ABC transporters mediate lower resistance. Considering the fact that expression levels of ABCB1 and ABCG2 transporters are hardly high in clinical samples, their contribution to the overall resistance to DAS is probably low but significant. This research is published in the open access journal BioDiscovery, as part of the special collection “From Drug Discovery to Clinical Trials” dedicated to outputs from the Second Clinical Sciences and Drug Discovery Conference, which took place in July, in Dundee, Scotland. The aim of BioDiscovery is to provide a platform for scientists in all areas of biology and medicine to promote, share and discuss new ideas and developments. BioDiscovery considers for publication original, high quality research which contributes significantly for the development of the knowledge in biology and medicine. Articles submitted to BioDiscovery benefit from its broad scope and readership, and dedicated media promotion.